Kids who haven’t begun to speak know how to operate a tab. Is that something for the parents to be proud of? Not at all! As adults, we know the harm gadgets can cause and try to avoid them whenever possible. But what about children? How do we distract them from the charm of the virtual world and make them spend time in reality? That’s a challenge. But don’t worry, we figured out a way for you. Meditation, yes, for children. Wondering if it will work? For sure, if you make it fun. Now, don’t rack your brain to figure out how. We already did that for you. 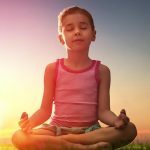 Check out the following 7 meditation techniques for kids. Meditation has a healing effect on anybody, irrespective of their age. For children, the need is lesser because they tend to be more in the moment and not overthink. But have you noticed an increasing number of children showing signs of stress, restlessness, and anxiety? Something we don’t understand because we hardly had any of these issues as kids. Owing to the flood of gadgets and a drastic decrease in outdoor activities, children are suffering from these conditions. And that is something we must nip in the bud before it grows and ruins the child’s life. Getting children to practice meditation is difficult. Obviously, isn’t it? 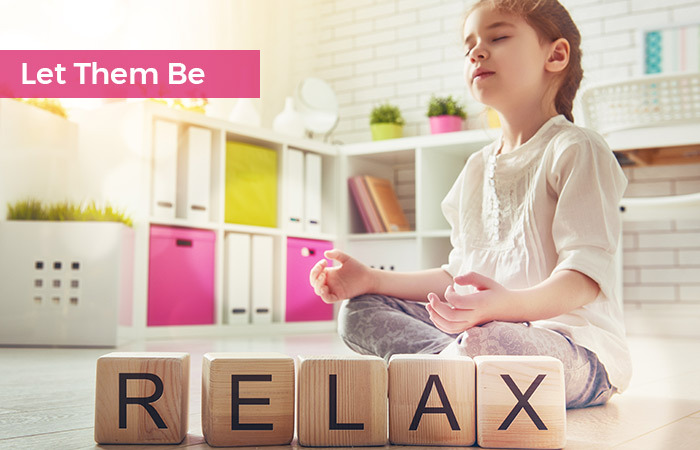 Even for us adults, it is challenging to spend some time meditating every day, so how can we expect children to do it? But, they must. Studies and research prove the benefits. The National Therapies Research Unit at the Royal Hospital for Women in Sydney, Australia conducted a study on children who meditate. The results showed increased attention spans and decreased hyperactivity. 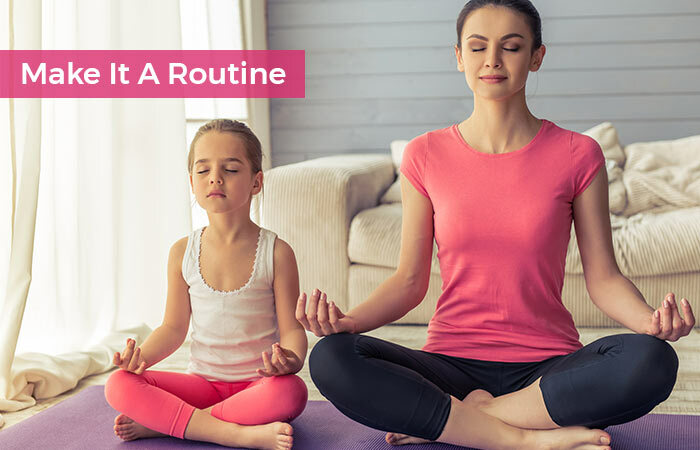 Tricks that will help you get your child to meditate are mentioned below. Try them. Kids can’t be fooled easily. So, if you are tricking them into doing something, your plan of action must be smart. Here are a few for you. Yes, that’s all it takes. Do not complicate it. Kids don’t need to know the philosophy and workings of meditation. Make them curious about it. Speak to them about air and how you cannot see it but can only feel it. Then, ask them to check whether they can feel it. Fascinate the kids with the concept of air going in and out of the body. Help them feel it. Ask them to notice their chest going up and down while they breathe. Tell them to place their hands on their chest or tummy and feel it rising and going down. Yes, do not bombard them with rules. We can’t always make them sit in a particular manner, close their eyes and meditate. That is not happening. Instead, you must accept the fact that children do not always respond the way we want them to. That’s the beauty of children. You never know when they will throw a surprise. Use that to your advantage. Point to a painting or any artifact in your home and ask them the number of colors on it. Tell them you are not able to figure it out yourself and need help. Children like to help adults and feel older. The exercise will help them focus on one activity for some time. Ah, yes! Children are great with imagination, and you must make use of it. Weave a story, ask them to imagine the characters, places, and the houses in it in minute details and tell you about it. Or even better, have a competition. Call their friends. Give them a premise and let their thoughts flow. Ask them to either narrate it to you or write it down on paper. This exercise will broaden the kids’ ideas, keep them focused on one aspect for a good amount of time, and give you a glimpse of their inner mind and thought process. Make them chant mantras. Yes, why not. 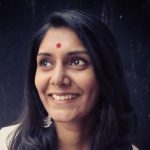 Sanskrit mantras are tough to recite, and that is an opportunity for you to make them believe that they are some tongue twisters and tell them to repeat them till they get it right. 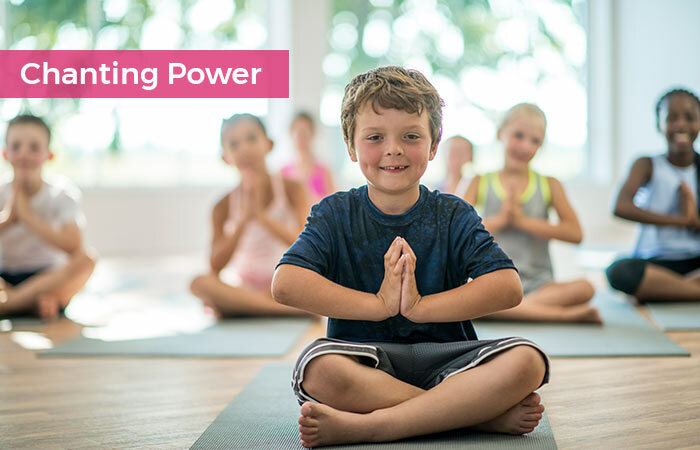 The exercise will keep the kids focused, and the pronunciation of the mantras will clear their throats and windpipes, enabling them to breathe better. To keep them hooked on to it, explain the story behind the mantras, why they were composed, their significance, in an Amar Chitra Katha manner, adding drama and effects to it. Play dark room, except here, you place a lit candle and ask the kid to stare at it as long as she can and count the number of times the flame flicks. Reward them with gifts each time they sit longer than before. Or ask them to gaze down and walk around, figuring out the way with little vision. The kid then tends to concentrate more on his body, mind, and other senses to help him navigate through the place. Children learn more from your actions than your words. So, what is the best way to get them to meditate? Yes, do it yourself every day. The first sight they should see after waking up is you sitting down silently and meditating, and the same when going to bed. What happens then? They copy you, invariably. They will sit next to you and wonder what you are doing. They will ask you about it. Answer them patiently and tell them why you are meditating in a manner they will understand. Soon, they will join you. The beauty of nature can captivate anybody. Take your kids to a scenic place. Talk to them about the mountains, trees, and water bodies there. Tell them their names and any stories associated with them. 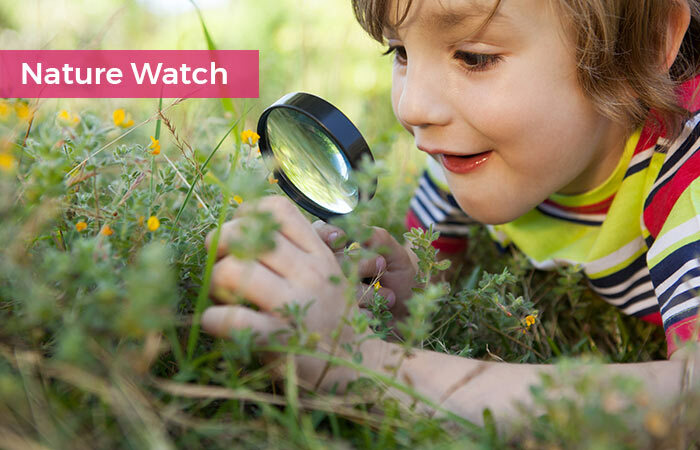 Ask them to spot birds that they learned about in school. Go fruit picking with them. Tell them to recreate the scenery by painting it in their drawing book. Spending time with nature and observing it will make them more aware of their surroundings, get them fresh air, and calm them down. 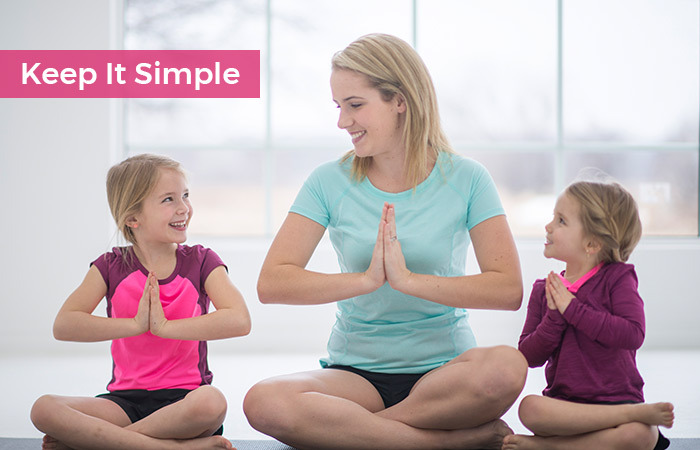 Now, let’s answer some common queries about meditation for children. What’s the best time for children to practice meditation? Mornings, before they leave to school, and in the evenings, after they come back from school, or sometime before they sleep. 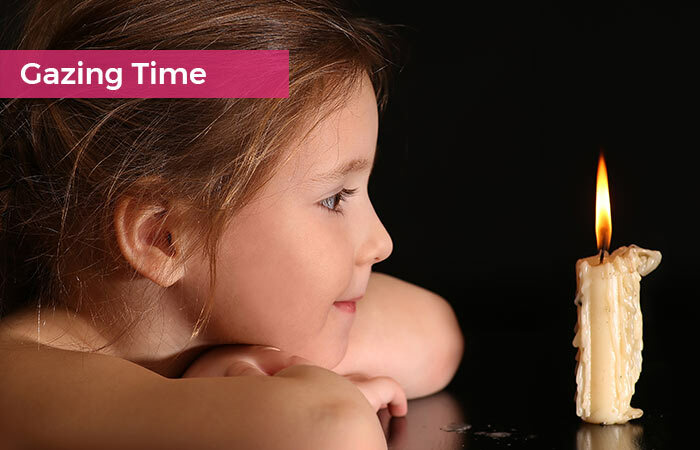 How often and for how long should children meditate? Every day, if possible, for a few minutes to begin with, and then slowly increase the duration. I am sure a lot of you have started meditation as adults and are pretty amazed at how it has changed your life. Didn’t you wish you practiced this much earlier? If you had meditated since your childhood, imagine the impact it would have had on you. Don’t you wish the same for your child? Introduce them to meditation as soon as possible. These techniques will come in handy.